Migrate south for your winter training. 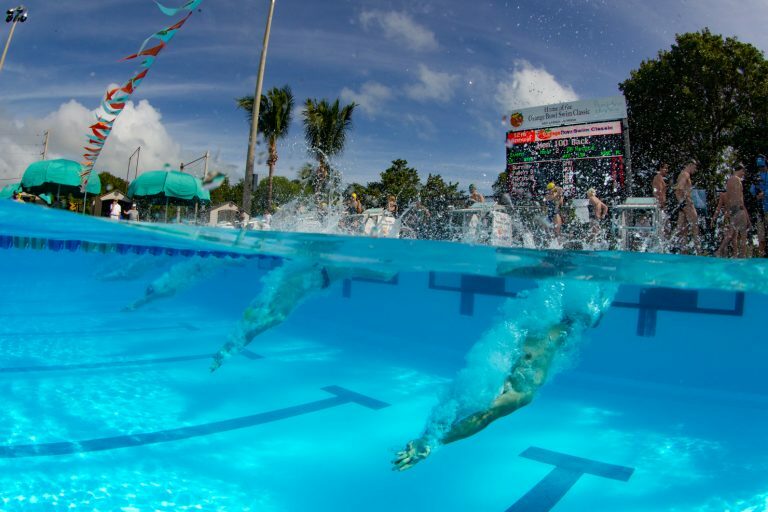 Warm weather and a tropical setting makes swim training in Key Largo, Florida an enjoyable experience. Resorts/hotels: Click here for a list of accommodations in the upper keys. Attractions: Snorkeling/diving, swimming with dolphins, para-sailing, Underwater National Marine Sanctuary, fishing, shopping, dining, etc. Climate: The Florida Keys on average are in the 70's during the winter. In case of an occasional cold front JAC's pools are heated. It is always sunny so make sure to bring plenty of sunblock. Diving info: JAC has two 1 meter diving boards and one 3 meter board. In addition, the facility has a trampoline with spotting rig and dry board area.